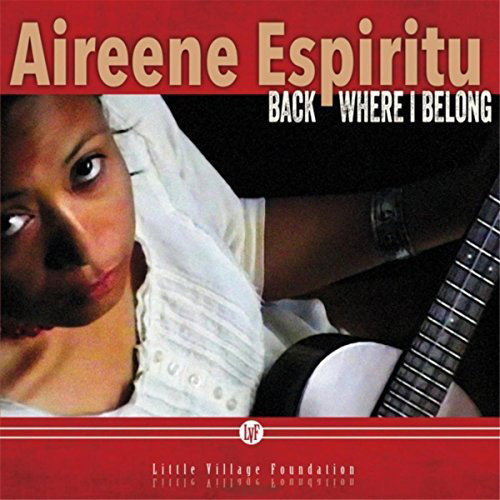 One of my favorite new albums is Oakland folk singer Aireene Espiritu’s “Back Where I Belong,” a project focusing on songs by or associated with Bay Area R&B great Sugar Pie DeSanto. It’s one of four new roots-music-with-a-twist projects released by the pianist Jim Pugh’s Little Village Foundation. The CD that’s gotten the lion’s share of attention, not undeservedly, is Indian-born blues harmonica player Aki Kumar’s “Aki Goes to Bollywood.” But the Philippine-born Espiritu’s tribute to the great Filipina R&B singer who recorded for Chess Records in the 1960s is similarly head-turning, with arrangements filtered through her love of American roots music.